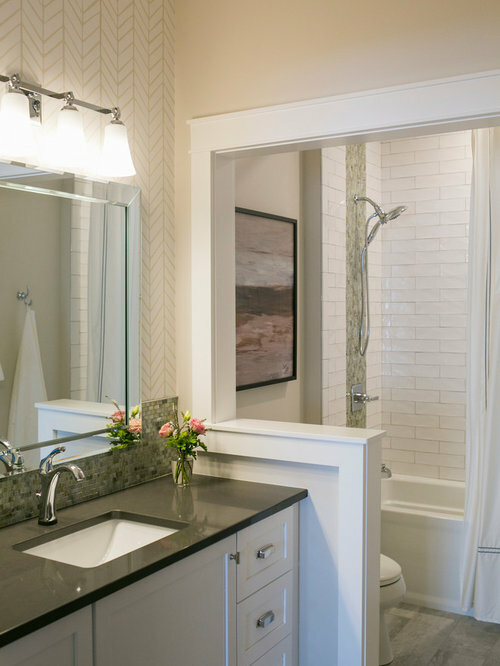 This full bathroom was designed with the intent to serve both the home owners as well as guests. Elegant materials like iridescent glass tile and wallpaper create a beautiful vanity wall feature. A wall cut out with detailed custom trim separates the more private areas and adds architectural interest. 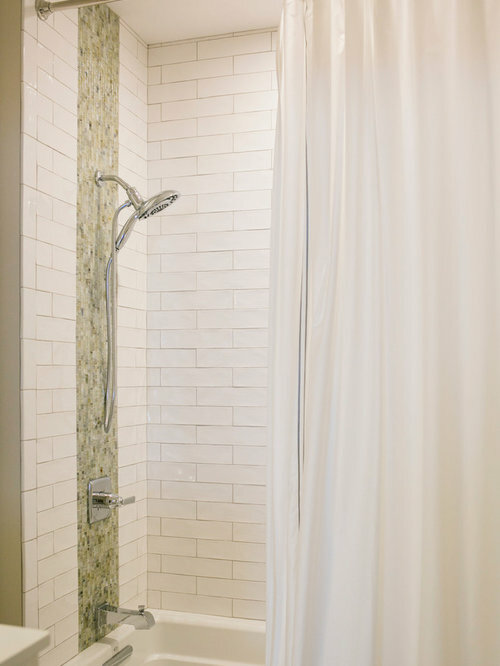 An oversized tub with textured white tile offers a classic and bright space.